The holiday season is one of the my favorite times to watch movies. I've burned through a lot of films over the past few days. I normally keep my Christmas movie tally fairly low. I never really bother with any more than 5 for the year and that's about what I've seen. Of the movies I'm going to list only one is an honest Christmas film. 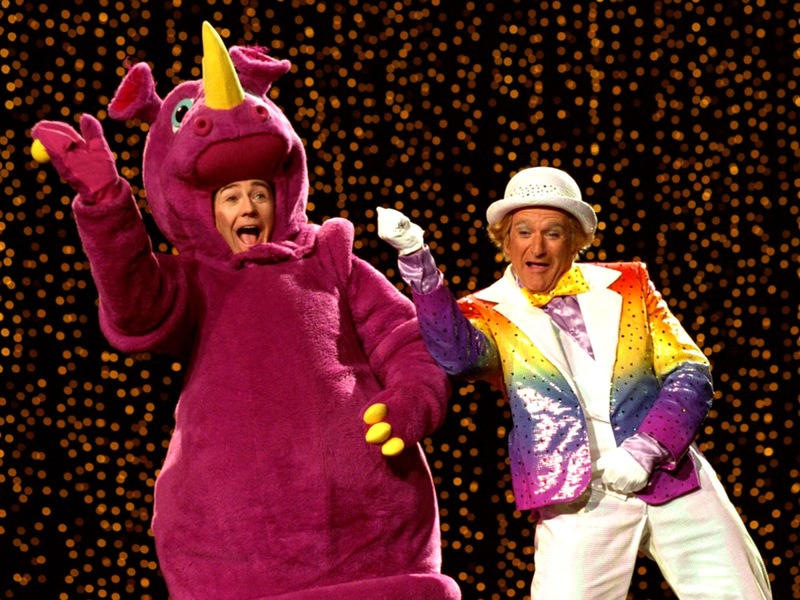 Death to Smoochy (2002): Danny DeVito: Death to Smoochy is one of those films that I was somewhat interested in for quite a long time. As a kid I was a bit of a Barney fan so the idea of a film that was about killing Barney seemed so interesting to me even when I was a kid and obviously far too young to watch it. I remember seeing some adults with a copy of the film on VHS and asking if we could watch it only to be turned down because I was too young for it. 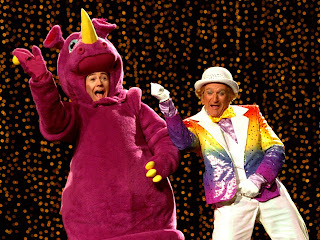 I enjoyed Death to Smoochy enough by the time it had wrapped up, but the more I thought about the less I liked it. Obviously, I intended this movie to be a pitch black comedy, but by the time the movie ends it doesn't really feel that way. All the performances are great Ed Norton is especially good. Robin Williams adds a lot of humor to the mix, but when all is said and done you realize that his character really had no purpose in the scheme of things. Plus, the film ends way more conveniently than it has any reason to. Verdict: Not a good movie, I'd skip this one unless you're a die hard fan of the cast. El Camino Christmas (2017): David E. Talbert: I had to look back at my posts and make sure that I hadn't talked about this movie yet because I actually watched it twice over the holiday season. Its weird, this is not a good movie at all, but I really like it. I see lot of flaws in the film, but its nice and short and entertaining the whole way through. I'm going to blame my love for this movie on the cast. I have a soft space in my heart for all things Tim Allen. I've been a fan of him long before I was old enough to understand his stance in politics and even now that I've grown up I still love him. Kurtwood Smith is always a guy I love to see get a quality role as well. Most of the characters in the film are either a drunk or an idiot, but its some of the most breezy fun I've had all year. Its basically a hillbilly version of the Breakfast Club, which feels like something that may have already existed. I honestly feel like I could watch this garbage every Christmas. Verdict: Not a good movie, but watch it anyway. The LEGO Ninjago Movie (2017): I'm always going to be willing to take a gamble on these LEGO movies. I liked both of the first two and there is another very watchable movie here in the Ninjago movie. Its got a lot of laughs and cute moments that kids will love, but it doesn't really have the strong message that adult crave. Ninjago is apparently a LEGO line that is really popular, but I went into the film knowing nothing about it and it turns out that you don't need any prior knowledge to enjoy the movie. In some ways I felt like the cast was a bit discounted which is a weird complaint for me because I'd much rather have suitable voices that are right for the characters than voiceover from a huge cast of celebrities. Justin Theroux is a surprising standout of the cast and he seems to be having a lot of fun as the villain. 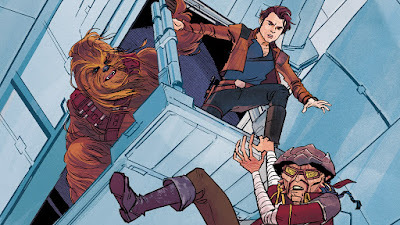 Overall, it felt like a mix with Star Wars and Power Rangers. Verdict: Its the weakest of the three LEGO movies, but its still harmless fun for the kids. Mother! 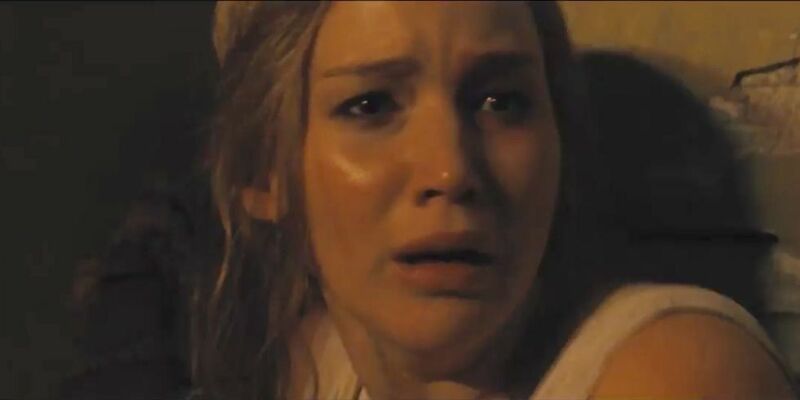 (2017): Darren Aronofsky: I probably could've written a full review on mother! 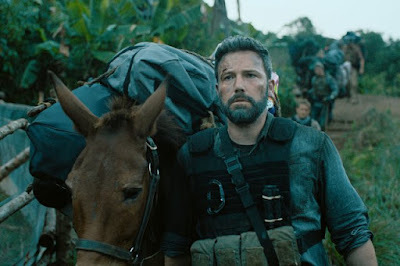 but it just seems like all the hot takes on this film are starting to feel recycled so I decided it was just as easy to give some quick thoughts and get over it. 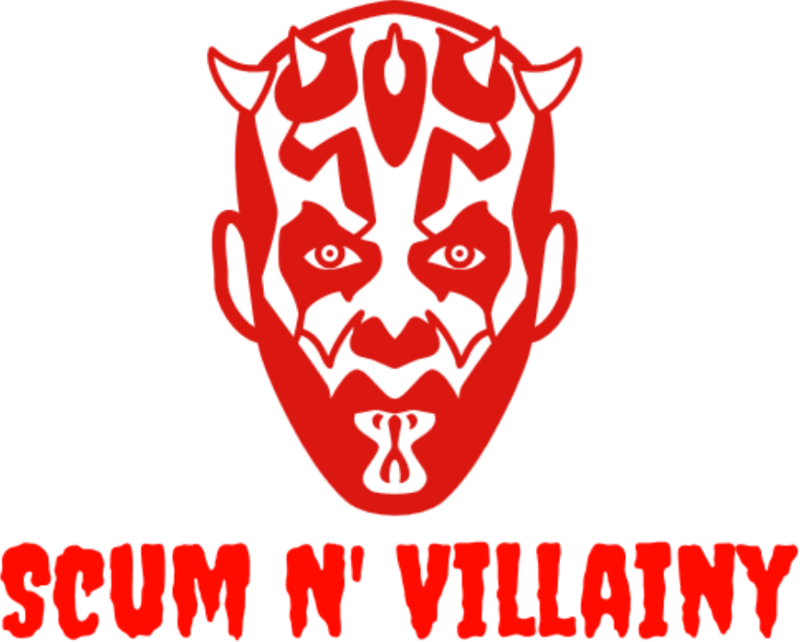 The more I think about this movie the more I dislike it. It almost feels like this film is serving as some sort of therapy for Aronofsky. I know art is supposed to do that in some ways, but this seems to have such a strong message that it gets to the point where it feels like you're being beaten over the head with it. Like many people have said: its great for film students but it shouldn't be a film that you should attempt to make people pay for. The cast is good and the film is quite well directed. I certainly got a hold of what Aronofsky was trying to say. I just didn't think I needed a full 2 hour film dedicated to it. Verdict: I haven't gotten to the point where I honestly hate this movie. I just know it wasn't for me. Based on other people's opinions this could definitely still be worth a gamble if you're a fan of the people involved. Better Watch Out (2017): Chris Peckover: I grabbed this movie as a rental for 99 cents on iTunes and I wasn't prepared for how fun it was going to be. 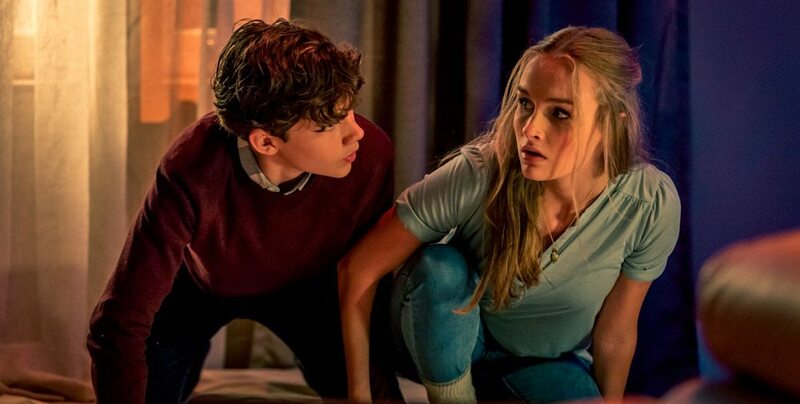 Better Watch Out is full of really good performances from a young cast. The two siblings from The Visit reunite in this film and both show some improvement. The film take some unexpected turns that I appreciated. Sometimes I feel like twists are horror are there just to make things different but this really worked. Its a Christmas movie so I'm probably a little late posting this, but if you can handle a Christmas movie after Christmas its worth a try. Verdict: Check it out if you're a horror fan. In the Line of Fire (1993): Wolfgang Peterson: This movie is the most recent of my entries and I enjoy this movie the more I think about it. Its a later Eastwood action film as he's nearing his 60s at the point this came out. The character is very much the typical Eastwood bitter grizzled character that we are used to seeing him play, but he plays it like the seasoned veteran that he is. 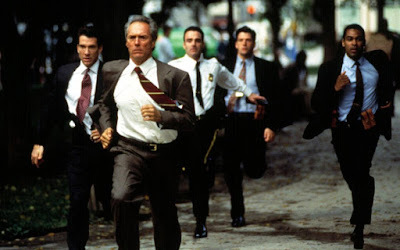 John Malkovich arguably steals the show and he and Eastwood go toe to toe over the course of the film. The plot remains simple but so quickly paced that couldn't help but get swept up in the fun. This is a film I can see myself going back to time and time again. In many ways its another Dirty Harry film with Eastwood as a Secret Service agent instead of a cop, but its just a solid movie all around. That's a quick roundup of some of the more notable films I've watched over the holiday season. Happy New Year and if you're following me please stay tuned.